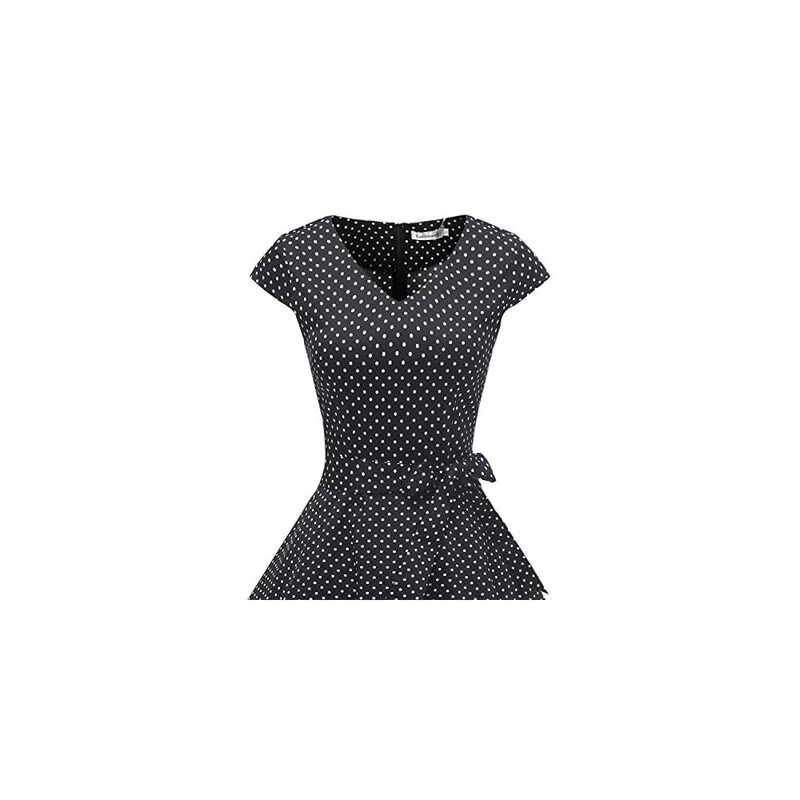 Pay attention : All of our colors are made of 98% cotton and 2% spandex aside from the White cherry and the Black Cherry. 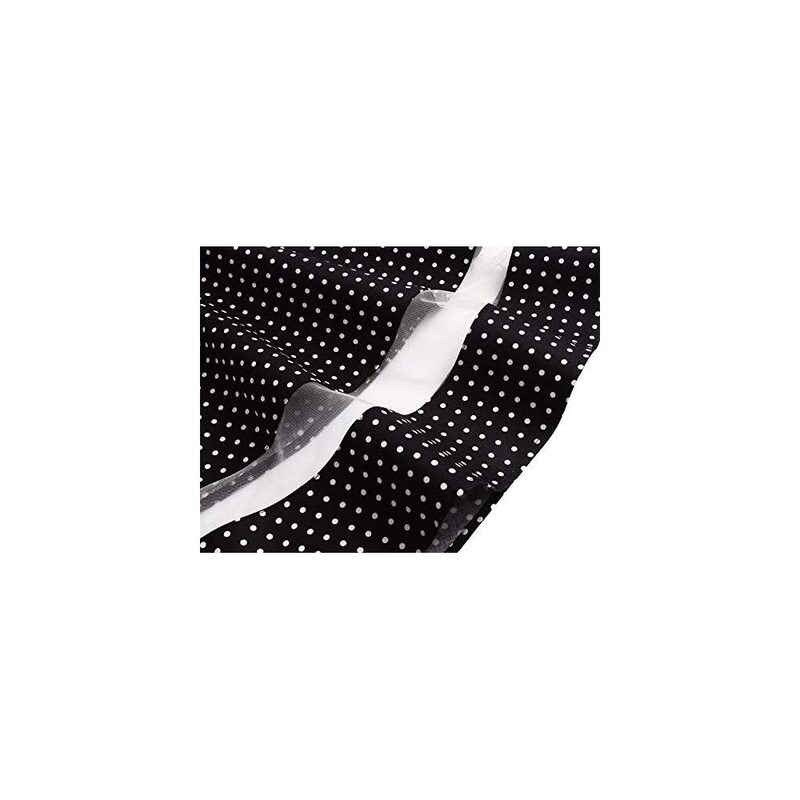 Only these two colors are made of satin. 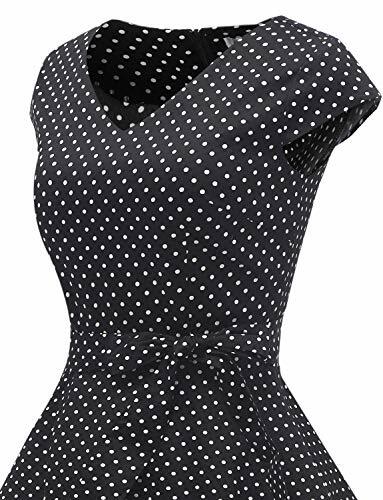 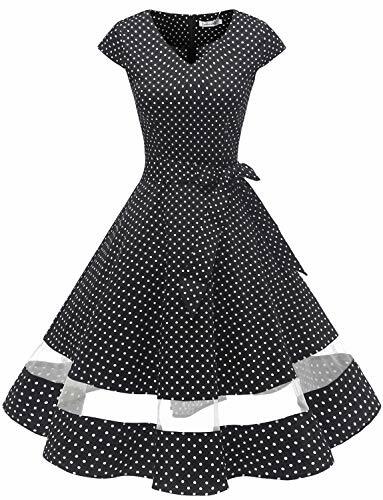 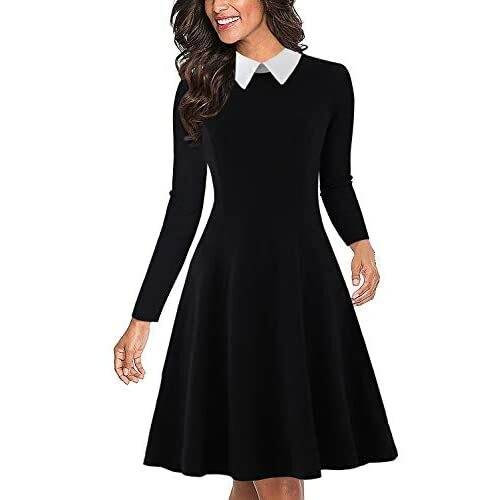 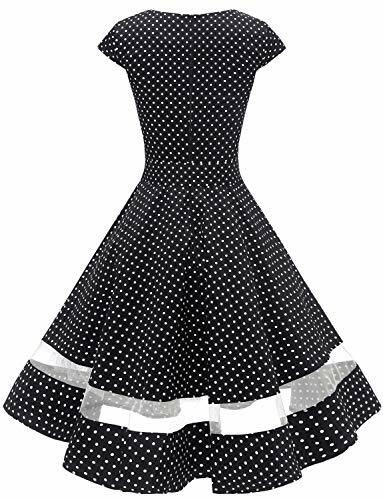 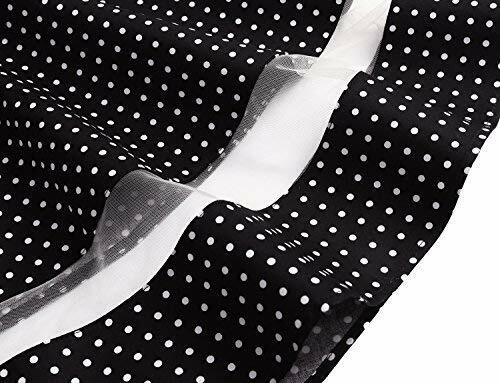 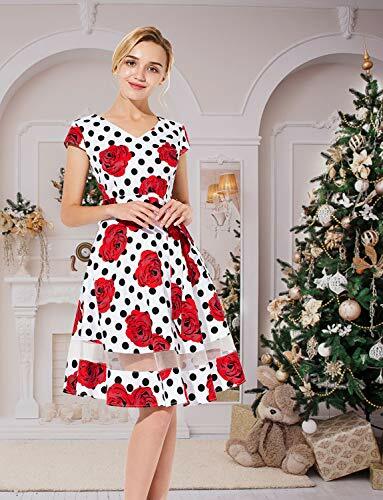 Unfashionable v-neck, Chic cap sleeves, Comfortable material, Adjustable bow tie, Illusion tulle hemline, Full swing, Concealed zipper closure, Vintage 1950’s classical cutting, Modest for most occasions. 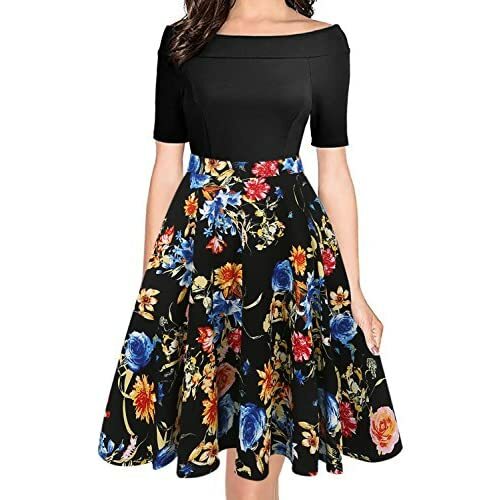 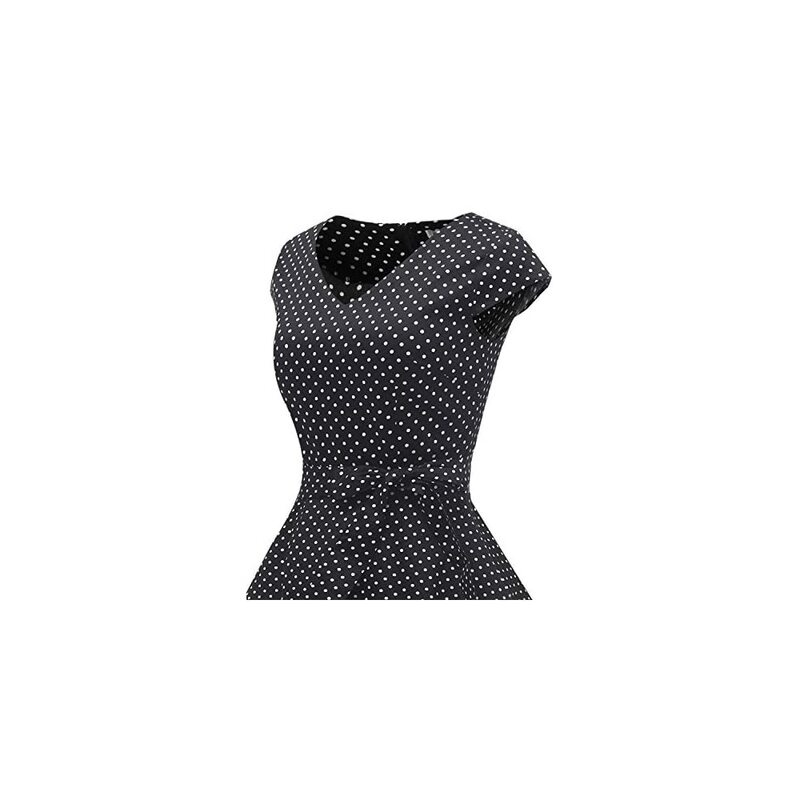 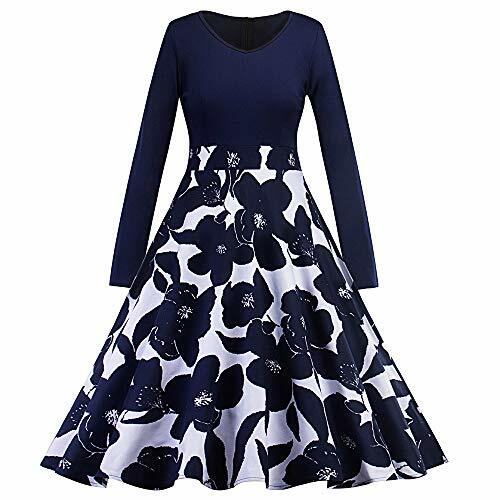 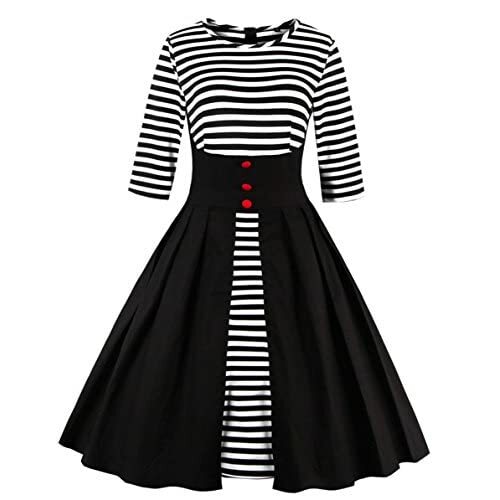 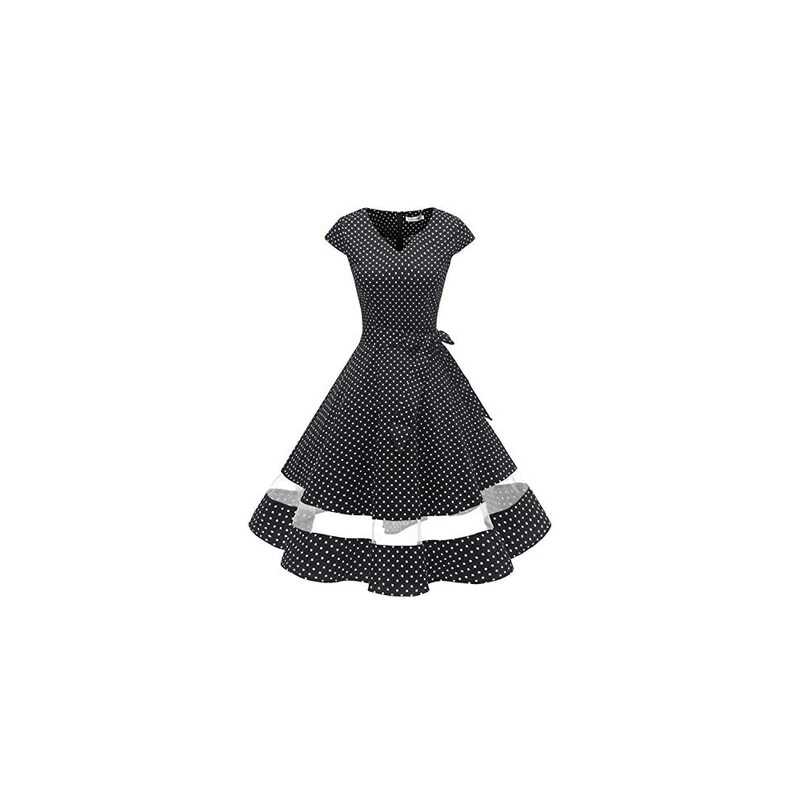 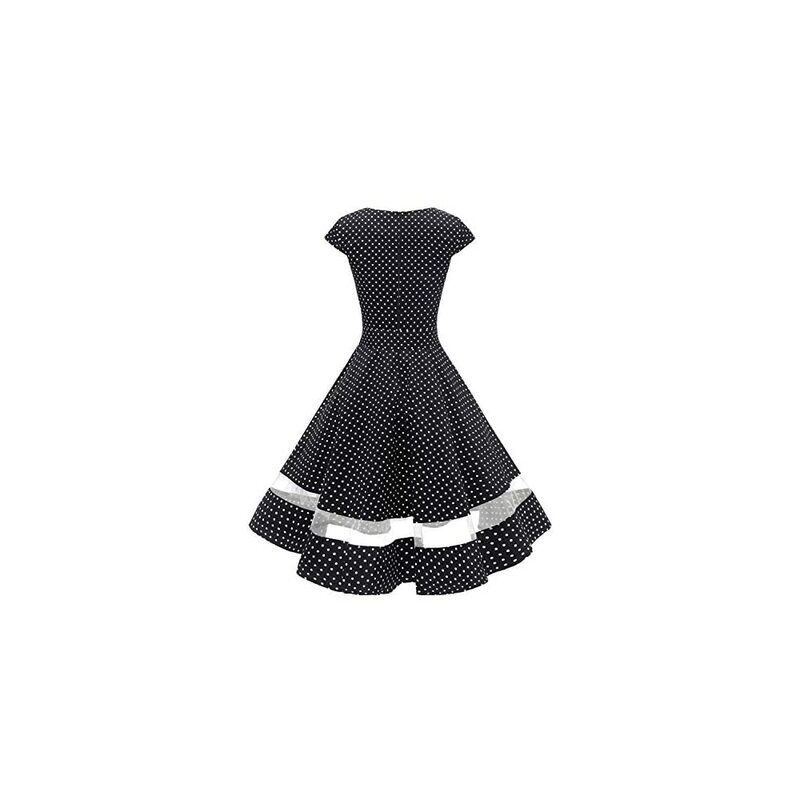 Get the 50s’ 60s’ look and iconic style for you to never be out of fashion.Forms of floral colors to be had, great choice for Christmas party, cocktail, costume, evening, prom, tea party, day-to-day, picnic, banquet, garden, wedding guest,other semiformal or formal occasions. 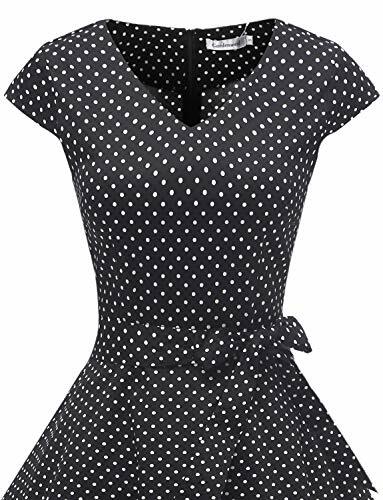 Hand wash in cold water, hang dry & low temperature ironing.Even as zip it up, do not pull violently. 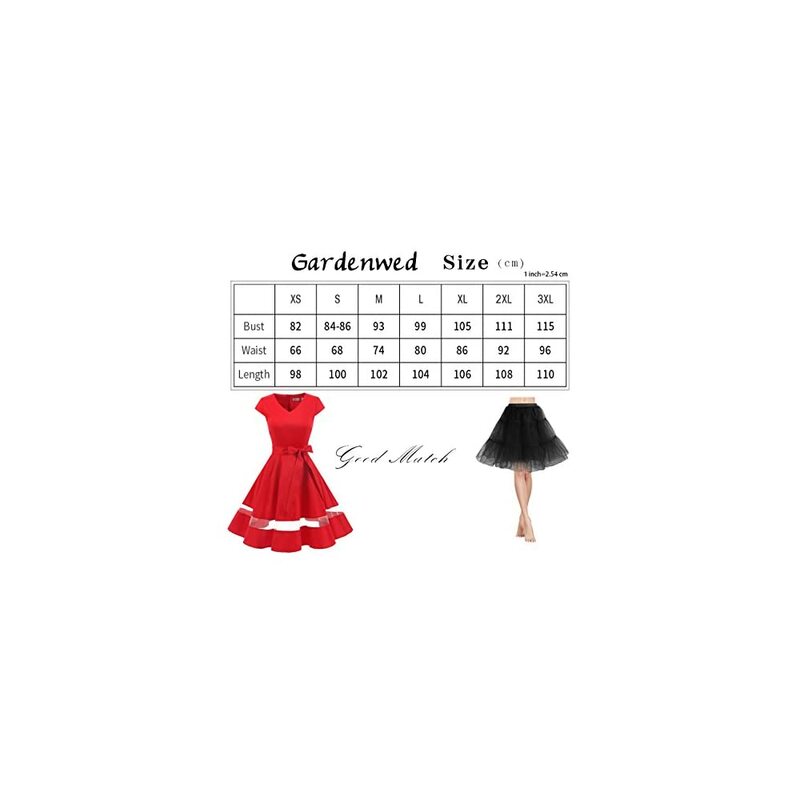 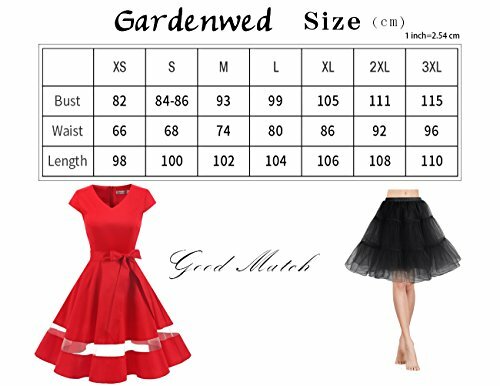 Please do refer to our size chart below the dress images (not Amazon size chart) before placing your order, and make a selection the larger size in case you are a between sizes !